Mix 6 egg whites with a pinch of salt. Then mix the six egg yolks with 6 taplespoons granulated sugar and add the beaten egg white to a foam. Then gradually added to the baking powder mixed with flour. Bake at 180°C/356°F. The milk start to cook, during a the yolks, whip together the flour, sugar, vanilla sugar. The egg mass was added 1-2 tablespoons of hot milk, then pour the dough into the hot milk. The sponge cake is cut into two parts. 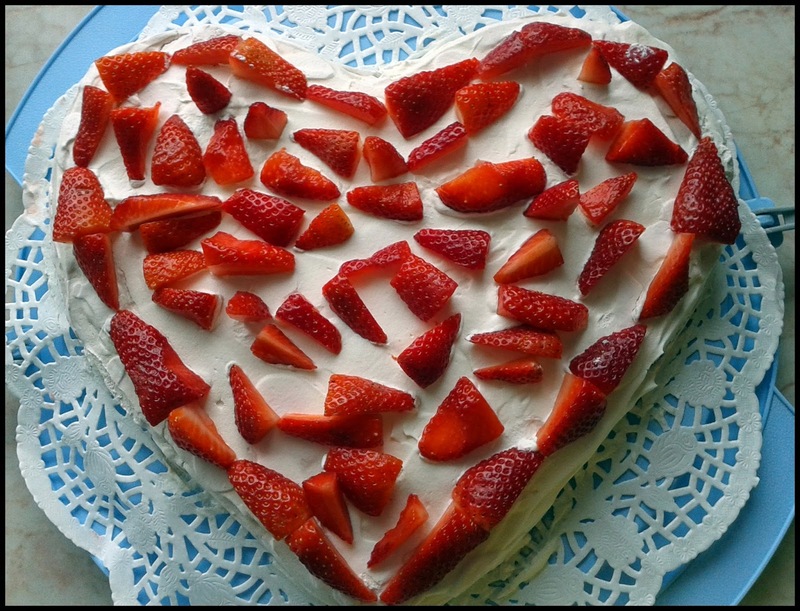 Covered with whipped cream and decorate the top with remaining strawberries.